Separating the things you can control from those you can't isn't just good for your stress levels, but your retirement outlook too. 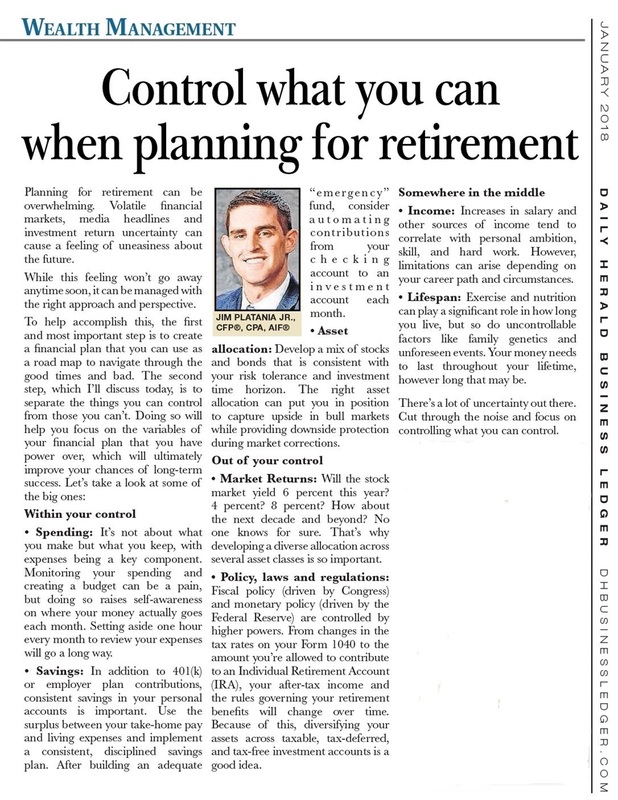 Take a look at my article from last month's Daily Herald Business Ledger. It's a quick read, I promise.